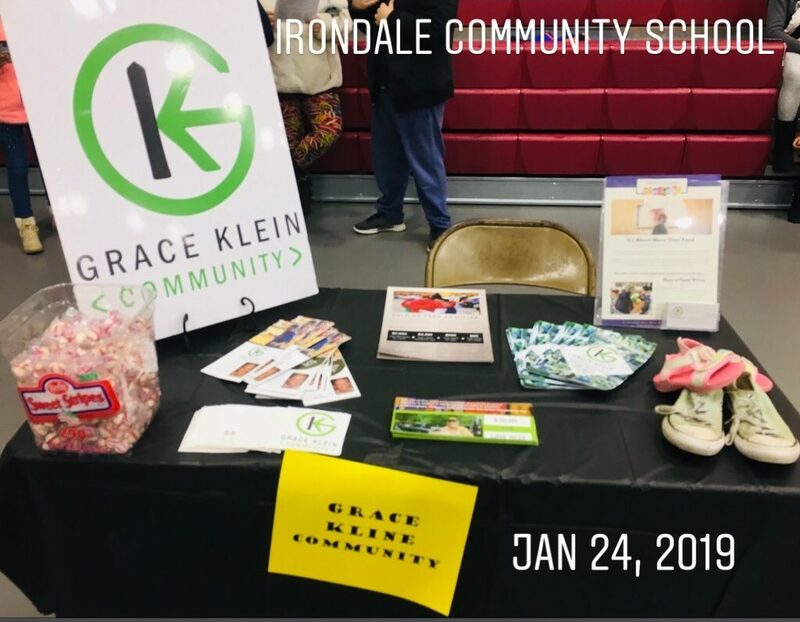 “On January 24, 2019, we had the opportunity to present Grace Klein Community to the faculty and parents of Irondale Community School at their Community Resource Night. What a great evening it was to see participation alongside GKC from so many different after school programs, literacy counsels, boy scouts, the exchange club and more. The evening began around 5:30pm with families coming in after work and walking through the gym where the exhibitors were set up with loads of literature and information to help and assist in so many different areas.